Late last year, as Lady Gaga was seemingly everywhere except at the top of the Hot 100 chart, a claim surfaced that she had lost her label, Interscope Records, $25 million on ARTPOP and that they would be forced to make layoffs. Sure, the album underperformed in comparison to Gaga’s previous work, but it still enjoyed sales figures that most artists would be delighted with — it debuted at #1 on the Billboard 200 chart and has to date sold some 679,000 copies stateside, on top of millions more around the world. So how could it have lost so much money? The unsubstantiated report came from music industry “insider” Angela Cheng, and appeared on Examiner.com, a content farm that has done what all content farms hope to do: trick corners of the Internet into believing it’s a credible website. To say the article made waves would be an understatement. Cheng’s report was sourced far and wide, by Bloomberg Business Week, New York magazine’s Vulture, entertainment industry blog The Wrap, Hypebot, MSN, and others. The only problem? It apparently wasn’t true. Gaga went as far as to address the $25 million figure directly, as did an Interscope publicist, who called the claims of layoffs “ridiculous and untrue.” Still, the number lingered. In an attempt to save face, some of these websites have updated their stories, while others have taken them down completely — including Examiner, which means I can’t link to the original piece here. All this fanfare over a couple hundred words that no longer exist. It reminds me of the tagline for pop culture forum Oh No They Didn’t (ONTD): “The celebrities are disposable. The gossip is priceless.” Cheng’s piece seemed designed to render Gaga just that: disposable. So where did the $25 million figure come from? 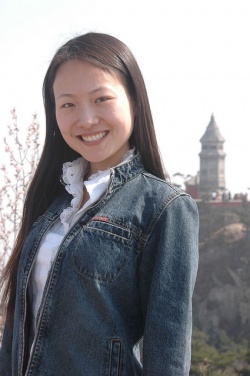 The obvious thing to do would be to ask Angela Cheng — except, again, there’s a problem. It appears that Angela Cheng doesn’t exist. All her posts from Examiner have been removed (more on that later), but from what I can tell based on reactions to and screenshots of her articles, her account started posting on Examiner at least a year ago, first with a series of negative articles about Madonna. Its name sounds credible, but Examiner is a crowdsourced publishing platform masquerading as web journalism. Its content is so questionable that it’s blocked as a source on Wikipedia, but it nevertheless has content-share deals with the likes of CBS. After perusing testimonials such as these regarding how Examiner pays — or rather, does not pay — its contributors, perhaps there’s something to consider in the purely per-click payment model of Examiner and other sites. Clicks equal money, albeit mere percentages of a penny. Gossip equals clicks. Tabloids created an entire industry around this concept, high legal retainers be damned. This is the new trash, somehow lower than mere churnalism. When Madonna stopped being a part of the news cycle, so did Cheng’s rumors about her — including the potentially libelous claim that Madonna helped spread AIDS, an insult that lives on in infamy in music ‘Stan’ corners of the web. When Gaga announced ARTPOP and experienced more backlash than usual on fan-driven sites and message boards like ONTD, ATRL (Absolute TRL), and FOTP (Flop of the Pops), Cheng found a new target for her articles. In the “Stan” culture where Cheng now exists as a meme, this level of flip-flopping is rare. (The term “Stan” refers to a brand of particularly extreme fandom — the moniker comes comes from Eminem’s song of the same name about a violent fan who turns to violence when Slim Shady doesn’t return his letters.) Fanatics tend to stan for a diva or two, despise her enemies or closest competition, casually shade the others. The Madge Stans usually set their aims at Gaga, over her constant need for Madonna-esque reinvention and the fact that “Born This Way” sounds like “Express Yourself.” But you’d be less likely to see a Céline Dion Stan shading Katy Perry, just like a Shakira Stan would likely not spar seriously over someone like Adele. Pop is a personality game, a stake that’s only heightened among Stans, whose culture is based on delusion and having the perfect GIF as a comeback or reaction, and rooted in forums where there are comment threads that easily get as much traffic as the articles they discuss. (A recent argument over Shakira’s charting performances and sales measures garnered nearly 30,000 views in the six days it’s been live, so do not underestimate the amount of people this stuff reaches.) Tumblr is less about shading, more about photoshopping. Still functioning as a LiveJournal group, ONTD copies and pastes every major pop culture site in the world and lets the commentary stack up in the comments section. 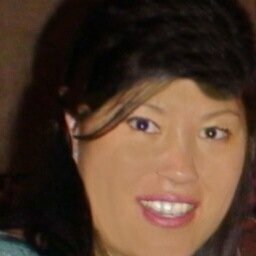 And any Asian woman in GIF form will suffice as a representation of Angela Cheng on forum-driven ATRL. Why? Because when people started looking into Cheng, things started to get weird. There were the complaints about Cheng stealing her profile picture off a photographer’s Flickr account. When this fact was exposed, she changed her profile picture to what appears to be a completely different person, both of whom she admits are not her. There was the vague bio: “a recent Communication Media Studies graduate of the University of Oklahoma, she was school newspaper’s pop music reporter.” There was the fact that she was supposedly a recent college grad residing in the music-industry hotbed of Tulsa, but nevertheless not only understood the minutiae of the music biz, she was apparently hooked up with anonymous sources, the Nikki Finke of the prairie state-school scene. And finally, there was the fact that her tone was identical to another Examiner-based Gaga hater disguised as a local music “expert” and recent college grad — one Sabrina O’Connor, allegedly an “expert” on Long Beach pop music. No one was able to track down Cheng, and as the kerfuffle around the $25 million claim died down, so did interest in its originator. But now, some months later, the mystery of Angela Cheng and Lady Gaga’s ARTFLOP is back in full swing, thanks to an illuminating Tumblr post from former Billboard Editorial Director Bill Werde. In his post, Werde chronicled his online run-ins with Cheng. In particular, she posted rumors of his departure from Billboard just days before he started a transition to an entrepreneurial role working on new projects within the publisher, Guggenheim Media Entertainment Group. (Full disclosure: I was employed by Billboard from 2010 to 2012, where Werde was among my bosses.) In turn, a BuzzFeed editor contacted Werde to comment on Cheng’s “predictions” that a new leader would take over at Billboard. The details of her rumor-mongering were incorrect, but the general notion — Werde out — was right, quite a scoop for a recent grad residing in Oklahoma. When BuzzFeed came calling, Werde did what any smart editor who knows how media representation works would do: he controlled the story himself, looking into the question of who Angela Cheng actually is firsthand. His investigations bore all sorts of interesting fruit. For a start, according to the University of Oklahoma, no one by the name of Angela Cheng was enrolled there within any time frame that made sense. But perhaps the most interesting thing about Werde’s post is his contact with tour promotion giant AEG, the promoter behind various Gaga tours — and, as it happens, Examiner’s parent company. Werde wrote: “AEG said they’d have someone look into the matter, and very shortly thereafter — and very much to AEG’s and the Examiner’s credit — the stories disappeared from the site. At some time after that, ‘Cheng’ appeared to stop contributing to Examiner.com.” Cheng’s most notable colleagues in Gaga-bashing, O’Connor chief among them, were also removed from Examiner. But they’ve been replaced by a Team Shade Gaga masquerading as “local music insiders,” like Amira Hasan and Jim Strzalkowski. So, is Angela Cheng a catfish? Absolutely. She tweeted as much last year and admitted yesterday that her byline is a pseudonym because she works in the music industry. “Though I can’t divulge my true identity [yet], I can say that Bill Werde knows who I am,” she wrote, adding claims that she has worked with Billboard previously. “I have dedicated a lot of my time exposing the truth, because the music industry has become a lot like the mafia.” Clues aside, I’m no closer to tracking her down — everything you can learn about catching a catfish from being a professional journalist for five years and obsessively consuming MTV’s Catfish has failed me. These days, Cheng operates her own site called Pop Music Gadfly, which she registered on January 15 under a hidden name and IP. I tweeted to her for comment and got an immediate “out of service” bounce-back to an email address she previously used. But, of course, any sort of concrete proof is impossible to come by. In the meantime, Cheng is as vocal as ever online — after Werde’s post appeared Monday (just minutes before BuzzFeed published their story about Cheng-gate), she spent the evening on Twitter, accusing Werde of being on Gaga’s payroll. At one point Monday, she tweeted to Gawker’s resident pop writer Rich Juzwiak with a plea to “get Gawker to do research on Werde and how he Stans for Gaga and others” (a reaction to this piece, no doubt). For what it’s worth, during my time at Billboard, Werde was passionate about his staffers breaking stories and sussing out the truth from the sort of industry figures who may not be so accustomed to anything less than glad-handing. I’ve written for other publications that catered to artists’ whims far more than Billboard did under Werde’s regime, which is to say: most major music publications that require lots of access to A-list talent need to speak frankly with artist camps from time to time. Negotiations, considerations — but not cheerleading, let alone paid cheerleading. Payola 2.0 is elsewhere. This isn’t the first Billboard-centric conspiracy theory — more so than other pop music sites, Billboard has always invited some amount of pop ire from Stans because the special formula behind charts is not 100 percent transparent. Every time there’s a tweak in chart methodology and one pop diva sees a dip or a gain as a result, there are threads upon threads of conspiracy theories on message boards frequented by the most obsessive of obsessives. Before its consumer-facing site, Billboard.com, closed its comments section last year, the site was a hotbed for music Stan culture. As someone who worked as an editor there, I assure you there was an internal awareness of the key camps, which tended to use the words “god” or “flop” to show their position (as in, Godney vs. Flopney, meaning Britney Spears). Werde’s @-replies are ground zero for this chatter, negativity he handled with dignity and humor while he was the public face of a massive music brand. It’s a curious position to occupy, being so embedded in the industry you report on, particularly when it involves high-profile stars. It’s something that Hilton has done with far less grace, despite his transition from Photoshop hatchet jobs and blatant target practice towards a thoroughly ‘yay!’ tone. Until Cheng reveals her identity, the theories aren’t going away in the corners of the pop deep-web. Like the celebrities she trashes, Cheng is now a subject of priceless gossip.